The plea deal carrying less than 10 years in prison for the father of Brendan Creato makes sense to legal experts. 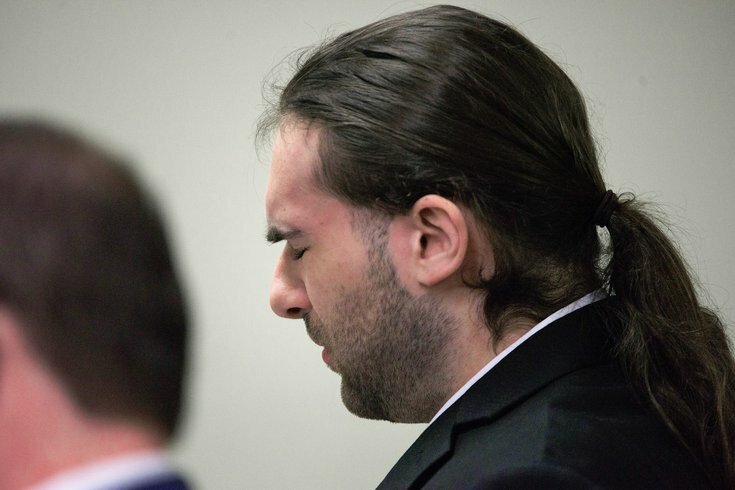 On Tuesday, David “DJ” Creato Jr., 24, testified in a mostly empty courtroom just two weeks before the start of his second trial that he had caused his then 3-year-old son’s death by cutting off Brendan’s oxygen. On top of the short sentence – a last-minute negotiation knocked two years off the deal, which had stood at 12 years, two months and two days just after his first trial - there are the many unknowns left by the semi-secretive plea deal. For instance, Creato, who had maintained his innocence during a months-long trial, which ended with a hung jury on May 31, did not specify how he cut off the boy’s oxygen when he spoke on Wednesday. Nor did he say why he did it. He also did he explain how the child’s body ended up more than a half a mile away from the apartment they shared, draped over a rock in a stream flowing through Cooper River Park in the Westmont section of South Jersey’s Haddon Township. Which leaves Monday morning quarterbacks and online commenters unsatisfied. The Camden County Prosecutor’s Office and defense lawyer Richard J. Fuschino Jr. did not comment on details of the deal on Thursday. But legal experts not linked to the case had lots to say – positively about the deal, negatively about the case. “The whole case is kind of unusual,” added Cornwell, largely because three separate medical examiners failed to conclude precisely how the child died. Dr. Gerald Feigin, the pathologist who performed the initial autopsy on Brendan Creato, waits outside the courtroom in Camden County Superior Court on Wednesday, May 3, 2017. The official finding on Brendan Creato’s death by medical examiner Dr. Gerald Feigin was “homicidal violence etiology unknown,” a finding most often used when there is little or no body to examine. That was not the case, the boy's intact remains were found in less than half a day. Creato, the boy’s father “said the least he could say and still cement the plea deal,” Cornwell said of the “carefully worded” statement provided to the press and public via the Camden County Prosecutor’s Office. The prosecutor's office, which had sent out media advisories on this case previously, made no such announcement in advance of Wednesday's hearing. But a spokeswoman told some reporters the proceeding was kept quiet “out of respect” for the family of the boy’s mother, Samantha DeNoto, who did attend the proceeding with other family members. The lack of notice assured no one from the press or public was present – a scheduled hearing set for Sept. 11 was pre-empted. 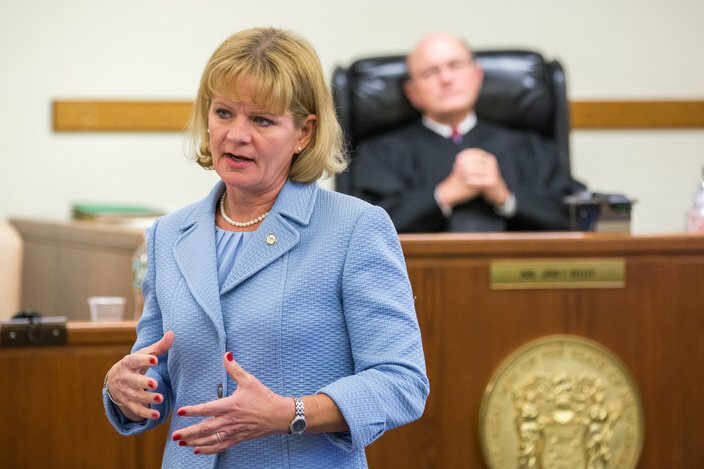 “Plea deals are the rule, not the exception,” with more than 90 percent of cases resolved without a trial, Cornwell added. “Having three medical examiners not able to come up with a cause has to be factored in," Cornwell said. A second jury trial next month carried risks for both the prosecution and the defense, added the professor. The plea by Creato addressed a potential risk of outright exoneration, a second hung jury or a judge who had the discretion to sentence Creato to more than 10 years in prison under the terms for a first-degree manslaughter conviction. 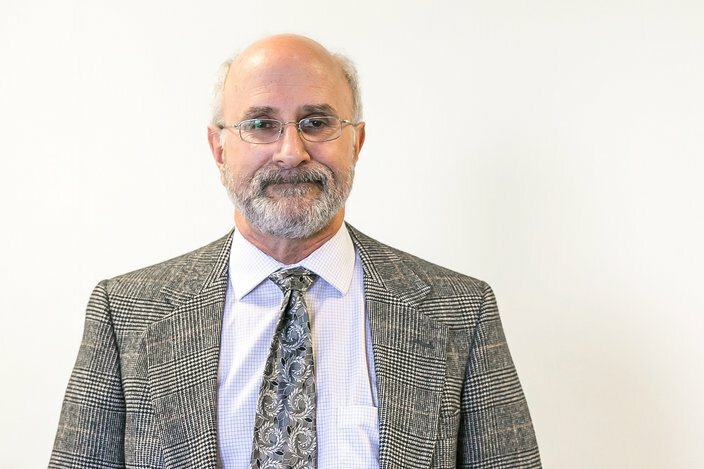 A 10-year prison term is the minimum under sentencing guidelines for manslaughter in New Jersey, with 30 years being the maximum, according to the professor. Creato initially faced a first-degree murder charge and a second- degree endangerment charge. The prosecution had offered a 35-year plea deal before the start of the first trial guaranteeing Creato would spend at least 30 years in prison. That trial went from April 19 to May 31. Failing to win a conviction against Creato at a second trial would have forever ended the case without a guilty finding , according to a retired criminal court judge. 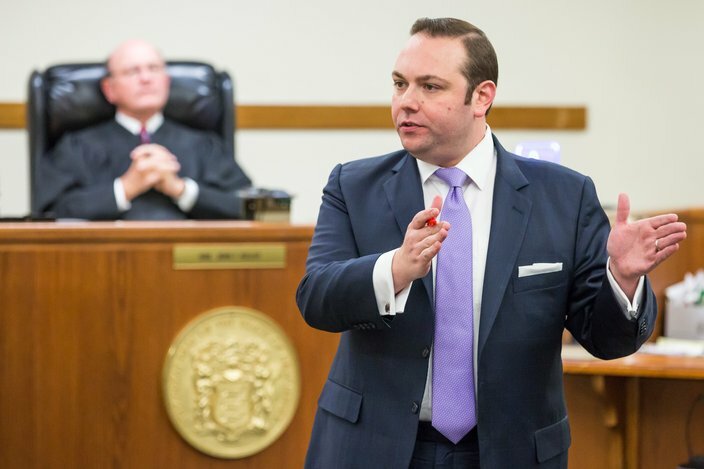 A second hung jury – a possibility given the outcome of the first trial – would have been the functional “equivalent of a not guilty finding,” retired New Jersey Superior Court Judge Michael Donio said. “A judge is not going to allow a third trial after two mistrials,” said the former Atlantic County jurist. Rutgers University-Camden law professor J.C. Lore, defense attorney Jeffrey Zucker, who notably represented Rabbi Fred Neulander in a hung jury trial (Neulander was convicted of orchestrating his wife’s murder in a second trial with a different lawyer) and former Philadelphia District Attorney Lynne Abraham, all also said a plea in the Creato case made sense. However, Neily said having no clear cause of death due to “an inadequate investigation by medical examiners where there seems to be mistakes and shortcomings” made for a weak case in this instance. Lore, the Rutgers professor, said “I think the prosecutor's hands were tied in this one because of the flaws and problematic investigation shared by law enforcement and the medical examiners. “It is tough to admit guilt if it is your own child, especially after maintaining innocence for so long. That is a reasonable amount of time (in prison) as the result of that plea. “The prosecutor would have spent an enormous amount of resources to try that case again. All of their witnesses have additional statements from their live testimony at the last trial, which gives the defense a ton more to use for impeaching a witness. “It just makes sense from all sides, especially if the defendant was guilty,” added Lore. Philly's former DA Abraham said a failure to pinpoint a cause of death “could not overcome a burden of proof above a reasonable doubt." David 'DJ' Creato, right, is on trial for his son's murder. 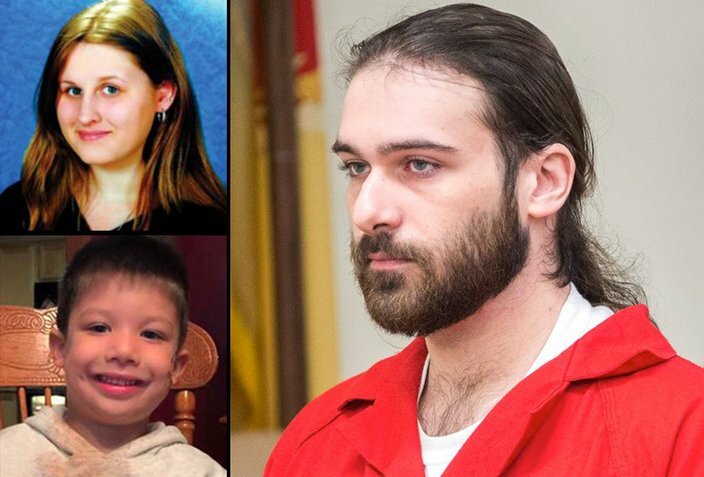 According to prosecutors, Julia “Julie” Stensky, top left, resented three-year-old Brendan Creato, bottom left. Stensky is not charged in the case. Creato’s “outlandish story” that a “spirit” may have guided his son to his death in a creek far from his home while still wearing clean socks was not enough, she said, given the “problematic nature” of not finding a precise cause of his son’s death. Even the possible motive that Creato could have caused his son’s death to satisfy a girlfriend who resented the time he spent with Brendan and the boy’s mother, Abraham said, was not enough to prove guilt, despite copious emails and texts. “The prosecution had a problem. They thought they could get over it, but what they had was not enough. And given the medical examiner evidence, on balance, this plea is appropriate." Abraham continued, “I know people are disappointed. It grates on us. But given the weaknesses of the case, this is the best outcome. ... For the prosecutor, there is Creato’s fact of admission under oath. The law is not a perfect thing."